Fast forward to 2015, and the ‘off the rack’ market is booming more than every before. We have Craig Anderson riding stock Hayden Shapes models with more style than George Clooney and grace than ballerina, and Kelly Slater performing aerial shows on oddball Firewire designs that are probably sitting on the rack at your local surf shop. Thanks to the evolution in surfboard shaping and modelling technology, stock models have been refined so much, that they are good enough for the professionals like Ando and Kelly to surf. In fact, surfers of all levels are turning to stock boards rather than custom surfboards, leaving many local shapers scratching their heads and wondering what they’ve got that he hasn’t. The truth is, ‘they’ are producing boards that are consistently proven to perform, and that are sitting there on the rack in all their glory, read to surf this very second. Immediacy is the massive draw card here. And that’s probably why you too are here this very second, to decide which of those boards you are going to hand over 800-900 bones for, so you can whack on a nice base coast of fresh wax and get out there carving smooth lines that would make Ando jealous. So I’ll cut to the chase, here are the surfboard models leading the popularity contest in 2015. The Fred Rubble is a fun board that is in its element from waves that are waist high, up to waves that are overhead. It goes well in average to excellent waves, everything from hollow reef breaks to flatter, fatter faces. Most guys are riding Rubbles two inches shorter than a standard shortboard, as they are about 1/4 inch wider than a standard shortboard, which makes up the volume. For example, if you ride a 6’0” shortie, you could comfortably ride a 5’10” Fred Rubble. Standard features include a single to double concave and a squash tail, something we are seeing lot of in recent years from Channel Islands (the hugely popular Dumpster Diver featured a similar tail). If you still need convincing of this board’s credibility in the performance stakes, you will take comfort in knowing that the Fred Rubble is actually a contest favorite for Kelly Slater’s, with a couple of tweaks as a round tail five-fin epoxy. One of the most diverse and high performing surfboards in the well-credentialed JS Industries range is the Monsta 3. 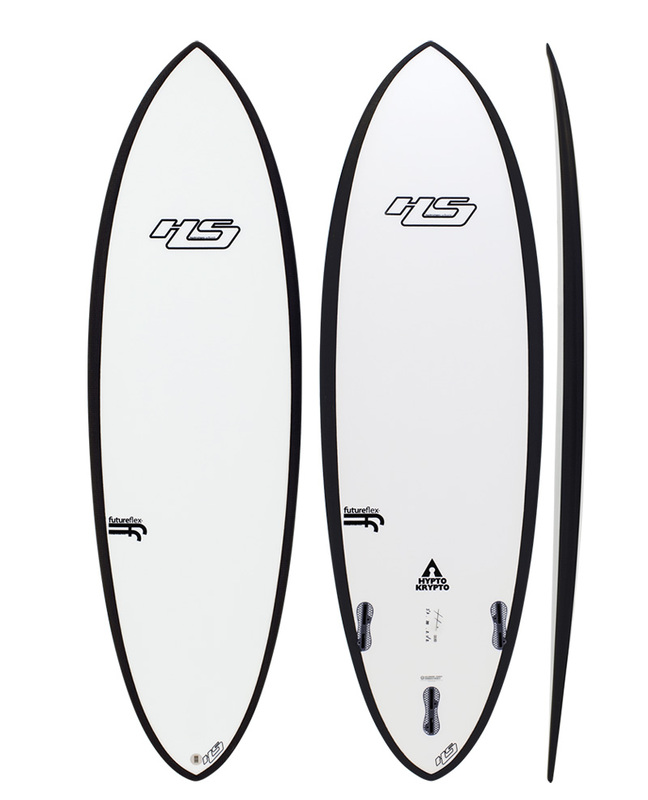 This is a lightning fast board due to its low entry rocker, considered by many to be a perfect all rounder. This is the third generation of the original Monsta 1.0, a board design that has been refined over the years with the help of Parko, Dusty, Ace, Julian, Owen, Kalani and a host of other rippers. In fact, a lot of the WCT big guns have been riding this board with great feedback and success. The Monsta 3 is reliable in everything from 2 ft grovelers to heaving 6 footers. Compared to the original Monsta, this refined model has less volume in the rails, instead hiding some additional volume over the stringer to maintain overall volume. The name of the Lost V3 Rocket suggest that much like the Monsta 3 (above), it is a 3rd generation model. Well actually, it’s quite the same story for the V3 Rocket. It’s a new model, an extension of the Rocket family rather than a refinement. The Lost V3 Rocket is a brand new design launched in 2014, designed to work for any surfer from the average, every day surfer, to the traveling pro. Considered a hybrid design, the Lost V3 Rocket is intended to be your go-to board for all conditions, and if Nate Yeomans victory in the Oneill Cold Water Classic on a stock 5’9” V3-Rocket is anything to go by, this board can go anywhere! 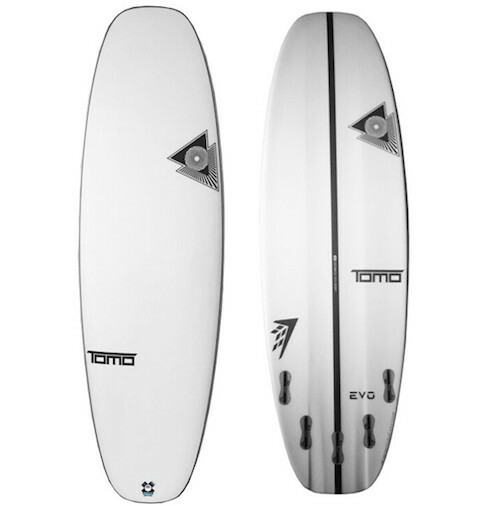 If you are chasing the one-board quiver type of design, this could well be the board for you. Less width behind the rear foot equals more precision and more control in the pocket, also allowing for functionality in a wider range of wave sizes. 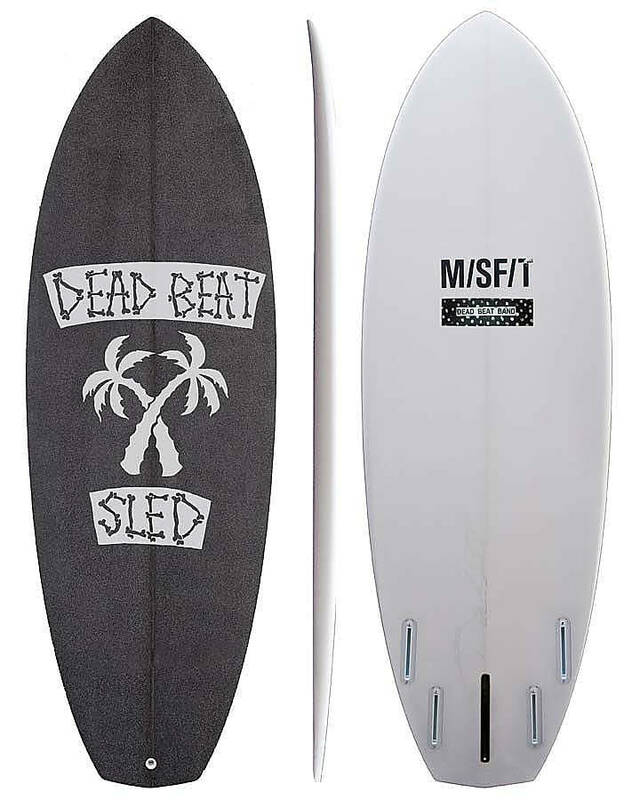 The Misfit Dead Beat Sled utilises the hugely popular Dope Machine template, modified with the addition of 8 inch single fin box (so technically speaking, it is the Dope Machine that should take the credit as making the ‘most popular boards in 2015’ list). The Dead Beat Sled is a limited edition board that was launched alongside an album launch for the Dead Beat Band, with custom artwork in addition to the single fin box mentioned earlier. The Dope Machine design draws influence from a mini simmons, making it ideal for small waves, and should be ridden 6-8 inches shorter and 1″ wider and the same thickness as your traditional shortboard. The diamond tail gives the board a shorter rail line, so the water breaks earlier which creates an early pivot point and making the board perform reasonably well in critical sections too. A super fun board for high performance riding in small waves. 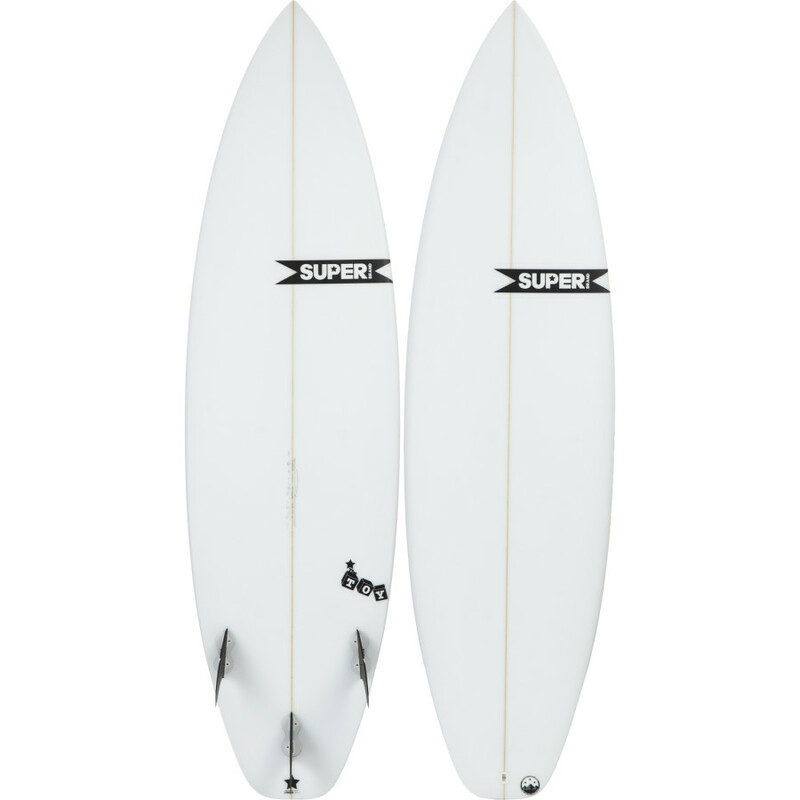 The Toy by Super has been floating around for a few years now, and is apparently the most re-ordered board in Super’s range of surfboards. The Toy is what I’d classify as a user-friendly high performance model of board, featuring a low rocker and a wider outline, making the Toy particularly great for paddling power. The Toy also features soft, forgiving rails which offer a little bit of give in critical situations, adding to its user friendly status (particularly for intermediate surfers looking to step up their game). Suitable in conditions from waist high up to overhead, the Toy is considered an all-rounder that could easily act as the daily driver for many Aussie surfers. 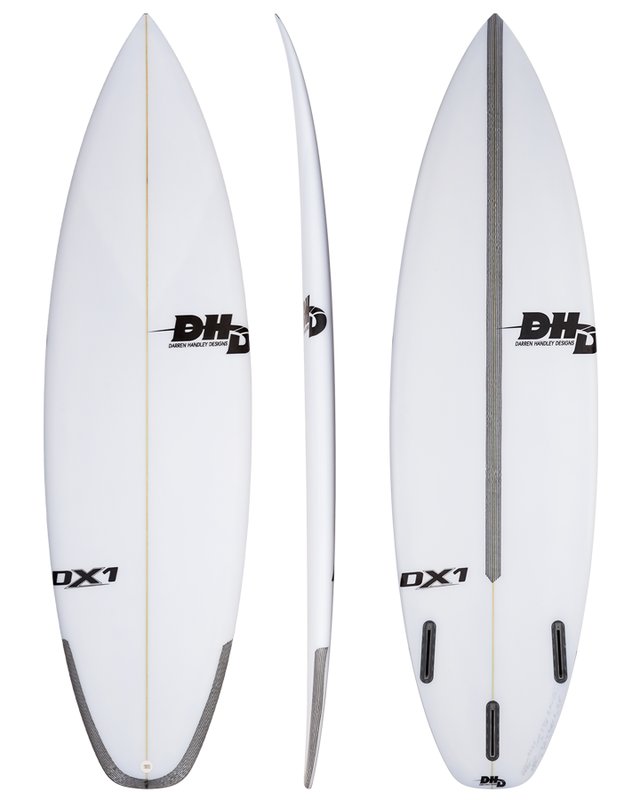 DHD’s DX1 Jack Freestone is what many consider to be a well balanced performance shortboard. It runs a single concave which flattens out through the tail, making it very loose and lively. Darren Handley (the founder of DHD) has a strong reputation amongst the professional circuit, and the DX1 is a proven performer , taking Adriano de Souza to victory at Jeffrey’s Bay in 2012. JR’s modern performance fish the Voodoo has volume in all the right places, coming as a tri-quad set up for versatility. The board offers plenty of paddle speed and ability to catch waves with ease, and being wide through the nose with a wide rounded diamond tail (or coffin tail), gets teh board going in the smaller stuff and gives a smooth feel through turns. The combination of the single to double concave with a vee off the tail gives this surfboard plenty of speed down the line, it makes every section with ease. The Voodoo performs superbly in small to medium waves with its extra volume offering extra paddle speed to catch more waves, and should be ridden six inches shorter than your pro series dimensions. 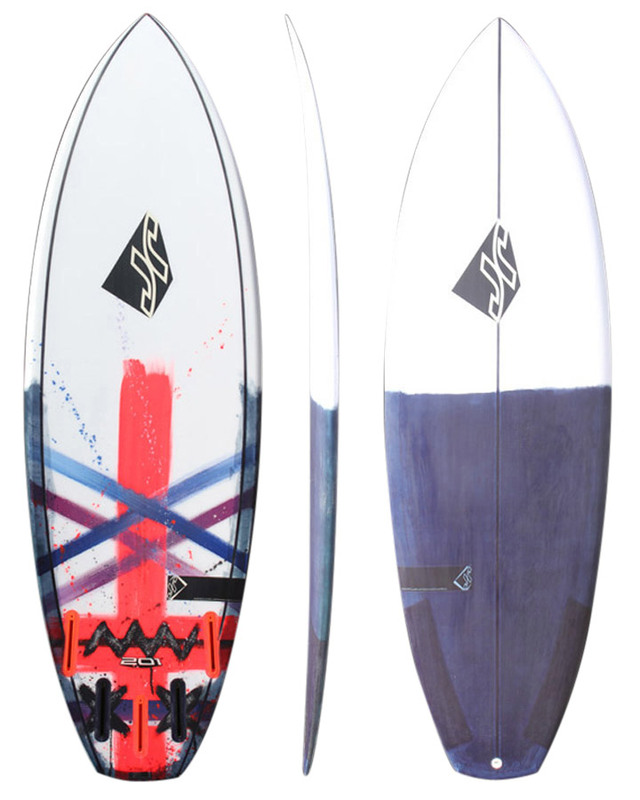 The Channel Islands Average Joe was named the 2014 Surfboard of the Year by the Surf Industry Manufacturers Association. Sure, this sounds impressive, but how does it actually go? Well, the Average Joe is designed as a groveller, it’s simple, fun, and easy to ride and is geared towards the things that makes surfing fun. This board is designed to increase wave count in small conditions and make more sections. While it has a light single concave for the first 1/3 to deepening concave vee throughout and can be surfed off the rail or off the tail, with full rails this board isn’t designed for overhead or critical waves. It won’t suit you every day of the year, but the Average Joe will probably leave you with a smile on your dial. 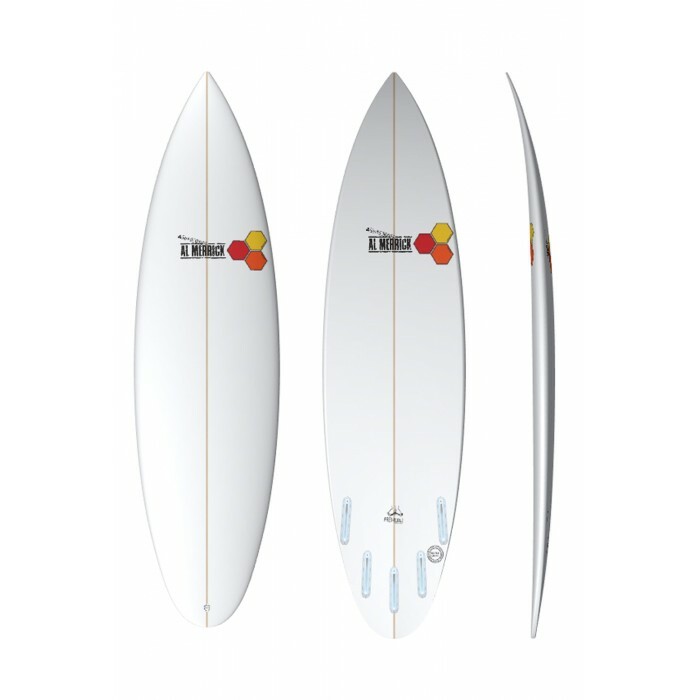 Firewire’s Evo is quite a unique looking craft compared to the rest of the boards in this lineup, with its rounded tail shape drawing an uncanny resemblance to the Evo’s rounded nose! With a wide central wide point the Evo is ideal for smaller weaker waves from 2 to 4 feet, however will still be quite functional in overhead waves conditions on points, beach breaks and even some hollow wave setups. To top off what is already a unique outline, the Evo has a very unique and highly innovative double inside single concave into split quad concave, which in layman’s terms translates to a modern take on the old school channel bottom. With such a deep concave, we’ve been told that the Evo almost feels as thought its levitating on water! The Evo should be ridden as short as possible (to give you an idea the 5’5 comes in at 30L of volume). Currently one of the most in demand and best selling surfboards globally, the Hypto Krypto is a balance of tradition and modern performance. Many agree/argue that the Hypto is the ultimate all round surfboard. Sure you won’t be seeing Mick Fanning or Parko on a Hypto at Pipe, but if Craig Anderson is more your cup of chai tea, the Hypto Krypto probably is too. The Hypto packs some extra volume under the chest area, making paddling a dream and some serious speed on an open face. The reason for its radical retro look is attributed to the Hypto Krytpo’s old school twin fin outline tapering down from the nose, with the modern addition of a tight pin tail giving it plenty of speed and an innate ability to turn tight in the pocket. The rocker is flat throughout, although holds a little extra lift in the entry, which helps when taking off late or turning in the steeper sections of the wave. The design of the rocker is focused around speed, to enable surfers to make sections that they don’t normally expect to make. The concave runs from a rolled vee in the entry to a slight single, blending into a vee double out the tail which gives the board great speed and control from rail to rail. Our good friend Mr Krypto will perform in all conditions, from mushburgers to clean barreling point breaks. The main focus of the design is the generation of natural speed, without compromising the manoeuvrability, and critical surfing in the pocket of the wave. Suited to the elite level surfer to the everyday surfer, it is often referred to as the ‘one board quiver’ for its versatility across all types of surf conditions – from small 1-3 ft beach breaks, to barrels of up to 8ft.